Pat Levitt, PhD, is the W.M. Keck Provost Professor of Neurogenetics, Neuroscience, Psychiatry and Pharmacy at USC. He is also the director of the USC Neuroscience Graduate Program and Developmental Neurogenetics at the Keck School of Medicine of USC, and vice president, chief scientific officer and director of the Saban Research Institute at Children's Hospital Los Angeles. He received his PhD in neuroscience at the University of California, San Diego, and completed a postdoctoral fellowship in neuroscience at Yale University. Levitt has held leadership positions at the Keck School of Medicine, including director of the Zilkha Neurogenetic Institute and chair of the Department of Cell and Neurobiology, as well as at other medical schools, including chair of the Department of Neurobiology at the University of Pittsburgh School of Medicine and director of the Vanderbilt Kennedy Center for Research on Human Development. Named a McKnight Foundation Scholar in 2002, Levitt also was a MERIT awardee from the National Institute of Mental Health and served as a member of the National Advisory Mental Health Council for the National Institute of Mental Health. He is an elected fellow of the American Association for the Advancement of Science, and the Dana Alliance for Brain Initiatives. 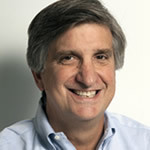 He is a senior fellow in the Center for the Developing Child at Harvard University, and serves as scientific director of the National Scientific Council on the Developing Child, a policy group bringing the best research from child and brain development disciplines to help policymakers and business leaders make better program investment decisions. He is a member of a number of scientific advisory boards for foundations and university programs, and also serves on the editorial boards of eLife, Neuron, Cerebral Cortex, Autism Research, Journal of Neurodevelopmental Disorders and Disease Models and Mechanisms. Levitt’s research focuses on the development of brain architecture that controls learning and emotional and social behavior. His human genetics and basic research studies on gene by environment interactions focus on understanding the causes of neurodevelopmental and neuropsychiatric disorders, such as autism and schizophrenia. His clinical research studies address autism heterogeneity by studying children with autism who also have co-occurring medical conditions, such as gastrointestinal disorders, with the goal of developing better diagnostic criteria and personalized treatments. He has published more than 250 papers. This study evaluated promising strategies to effectively recruit Latinos into genetic research on autism spectrum disorders, and found that culture-specific, parent-centered approaches were successful in engaging and retaining Latino participants for research involving genetic testing.